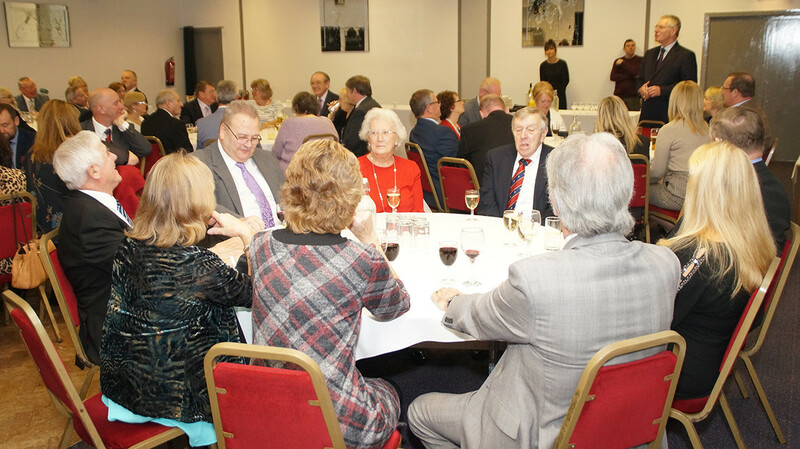 John Pearson, our APGM, addressed the Diners before the meal commenced. 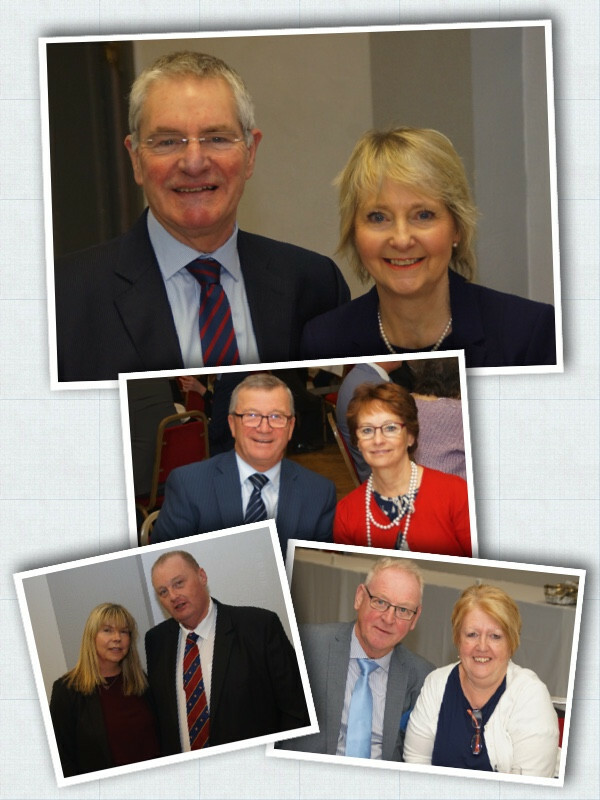 Once a year, usually about a week after the meeting of Provincial Grand Lodge, the Southern Area of East Lancashire holds a luncheon for all those who have received new Appointments, or Promotions, in Provincial Lodge, or Provincial Chapter during the past twelve months. Needless to say, we also extend the invitation to the wives or partners of these members. Southern Area is comprised of two Districts, Ashton & Mossley and Audenshaw. This year, as they say, the lot fell to Audenshaw District, so we met together on Sunday 25th November at Stanley House. Every year, John Pearson, our APGM, addresses us at this meeting, and every year he reminds us all that this is the only free meal we get out of Freemasonry. Well, I must say that Stanley House did us proud, it was an excellent buffet lunch and there was wine available for those who were free to drink. A lovely meal and I am sure that everyone who was present will want to send their thanks to Vicky and her team at Stanley House. John always makes a wonderful little speech on these occasions. It is always witty and very enjoyable, but it would be remiss of me not to highlight three points that he made, for they are Very important. We congratulate all of those who have been appointed or promoted, but we remind them that they have been promoted for what they put into Freemasonry, not what they get out of it. We urge all of them to continue to work for the good of the Craft, for that is the only way we will prosper in the future. Secondly, we remind all of the Brethren who have been honoured that they now constitute leaders in their Lodges and Chapters. More junior brethren will now look up to them as someone who knows and understands how Freemasonry works. Be aware of the authority that gives you, and guide your brethren wisely. Finally, we invite our Ladies and Partners to participate in this luncheon because we appreciate what an important part our ladies play in our lives, and we fully appreciate the fact that we could not do that which we do without their encouragement and support. Words and Pictures are ©Kevin Hall, District Communications Officer for Ashton & Mossley District. Unauthorised use of either words or pictures for commercial gain is forbidden.